Two manuscripts by RENCI staff have been accepted for presentation at the 4th annual ACM International Conference on Bioinformatics, Computational Biology and Biomedical Informatics (ACM BCB). The papers are: “Visual Analytics to Optimize Patient-Population Evidence Delivery for Personalized Care” (authors include RENCI’s Ketan Mane, Phillips Owen, Charles Schmitt and Kirk Wilhelmsen); and “Predictive Model of the Treatment Effect for Patients with Major Depressive Disorder” (authors include Ketan Mane). ACM BCB is the main flagship conference of ACM’s Special Interest Group on Bioinformatics, Computational Biology and Biomedical Informatics and will be held in Washington DC from September 22-25. It provides a forum for interdisciplinary research encompassing disciplines such as computer science, mathematics, statistics, biology, bioinformatics, and biomedicine. We’re excited to see how these presentations go! Congrats to RENCI Senior Project Manager Mary Whitton for winning the Outstanding Service Award at the USA SIGGRAPH 2013 International Conference and Exhibition on Computer Graphics and Interactive Techniques. 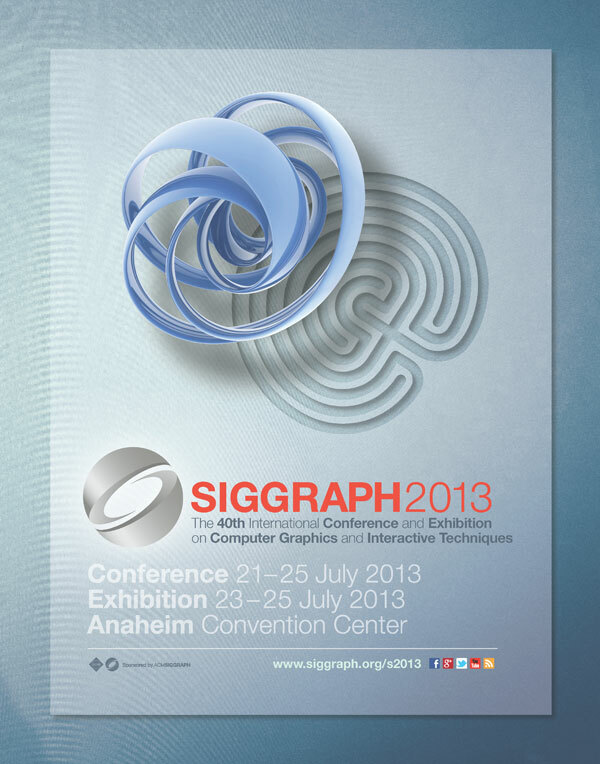 Now in its 40th year, the SIGGRAPH conference (sponsored by The Association for Computing Machinery) is the premier international event on computer graphics and interactive techniques. This year’s conference, held in Anaheim, CA, July 21-25, drew more than 20,000 professionals from five continents, including experts in science, art, animation, gaming, interactivity, education, and the web. It is one of the most prestigious forums for computer graphics research, digital art, and scientific visualization. The awards presentation was held on the first day of the event to honor individuals with exceptional achievements in computer graphics. The Outstanding Service Award recognizes a career of outstanding service to ACM SIGGRAPH by a volunteer over a significant period of time. The criteria used to evaluate the award include importance of the service and the degree of sacrifice incurred by the volunteer. Several members of RENCI are proudly representing us at the National Science Foundation GENI Engineering Conference in Madison, WI July 21-23. Bonnie Hurst, Ilya Baldin, Shu Huang and Yufeng Xin are at the Conference to promote ExoGENI, a nationwide test bed for networking and networked cloud computing involving RENCI, Duke University, and IBM. ExoGENI is funded by the Project Office of the NSF Global Environment for Network Innovations (GENI), a virtual laboratory which intends to open up new areas of research at the frontiers of network science and engineering by enabling deep programmability throughout the network, promoting innovations in network science, security, technologies, services and applications, and providing collaborative environments to catalyze innovation. ExoGENI links GENI to two advances in virtual infrastructure services: open cloud computing and dynamic circuit fabrics. It orchestrates a federation of independent cloud sites across the U.S. and links them to other GENI resources. At the conference, these RENCI experts will hold tutorial sessions on ExoGENI, give live demos, and answer questions on how researchers can obtain ExoGENI for their own work. Check out exactly what our experts will be doing at the Conference here!